Was it really just Labour Day? How did that happen? My ‘baby’ turns 5 this week and it feels like just last week she was learning to walk and talk. Someone gave me sage advice awhile back “The days can feel very long but the years will fly by in no time.” Indeed. Speaking of time and speeding by, I was excited to sit down at a table for one of my favourite Wine Bloggers Conference sessions – ‘Speed Blogging’. Kind of like ramped up ‘speed dating’ but this is enjoyable… a table full of bloggers, a winemaker or winery representative and one wine – for 5 minutes. The goal is to pour a great wine and pitch the bloggers with relevant knowledge yet give us enough time to interact with the wine. Fulkerson Winery Seneca Lake Grüner Veltliner – 13th generation Have been farming since 1805. Crisp and delicate. Stainless steel fermentation. Great minerality and mouth feel. Produce 400 cases. VSP training. Retails for $14.99 USD. What? Amazing value. Keuka Spring Winery Dynamite Gewürztraminer – wicked and lush…hello lover – subtle fullness with great pineapple, floral and lychee notes. This is a winery exclusive. Retails for $22 USD. It is the first vintage of Dynamite. ⅓ barrel fermented. ‘The next great Finger Lakes grape’. Delicious. Three Brothers Winery 2014 Grüner Veltliner – crisp and zippy with a hint of SO2. Grown on 2.2 acres. Summer and heat = a happy glass of Gruner. Retails between $14 – 18 USD. Silt/loam soil. Nice lemon rind finish. Americana Wines Apparition – Semi Dry. Vidal Blanc grape. Honey notes. 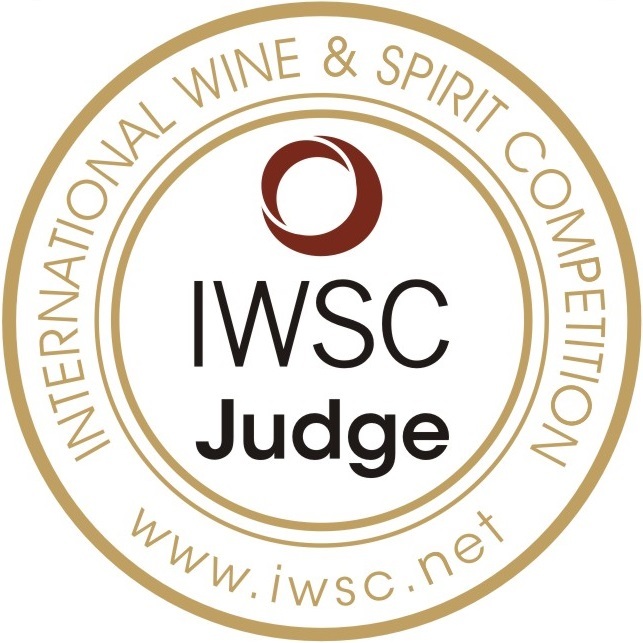 Double gold wine winner. A full wine. $13.95 USD. Wagner Vineyards 2102 Dry Riesling – Established vineyards in 1976 but have been growing grapes for more than 100 years. Gorgeous kerosene and mandarin orange notes. Good acidity. Won the Double Gold. Less than 1% RS Retails for $20 USD. Located on Seneca Lake. 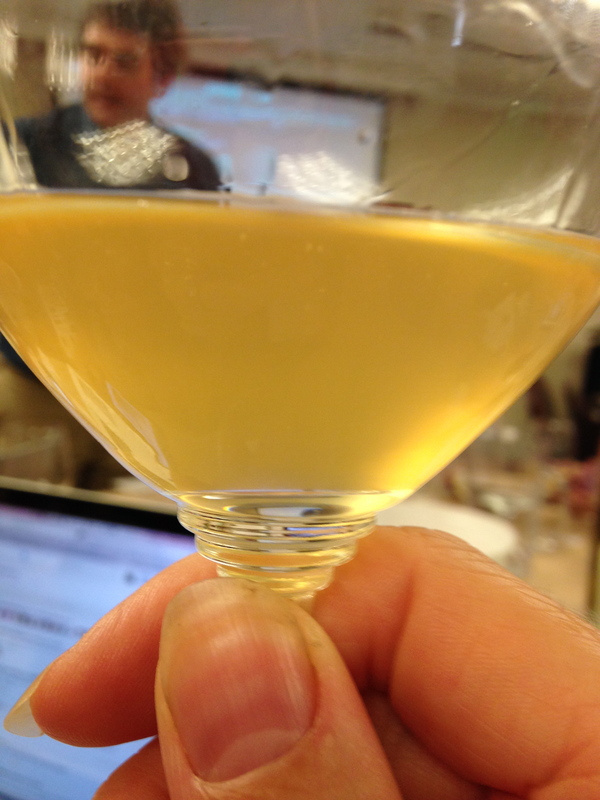 Atwater 2014 Chardonnay – SE Corner Seneca Lake. Orange Wine. Open top fermentation, unfiltered. Very exciting. Apricots and umami. Intriguing and I love it. Amesome! Casa Larga Vineyards Vidal Blanc Ice Wine – award-winning. Hand harvested. Lovely. Great acid and not cloying. Marmalade and baking spice notes. Great length of finish. Lamoreaux Landing 2014 Red Oak Vineyard Riesling – Dry end of the spectrum. Displays great balance. 12% alcohol. Flint, peaches and pear aromas and flavours. Have 70 acres of vineyards and 29 acres are Riesling. Have been growing for 40 years. Retails for $19.99. Thank you for tuning in. The Finger Lakes region of New York state is stunning with some great wines worth travelling for! I will be back next week with ‘The Reds’. I remember doing that last year – trying to do a quick interview with the winery rep while my husband took the tasting notes. Gasp, gasp, wheeze, wheeze! Sounds like you folks had some awesome wines. Yes – it was pretty fantastic! Thank you for the note!